It wasn’t Hostess workers or their union that wrecked the company. It was a Bain-like private-equity company. What happens when vulture capitalism ruins a great American company? The vultures blame the workers. The vultures blame the union. That’s what’s happening with the meltdown of Hostess Brands Inc.
Americans are being told that they won’t get their Twinkies, Ding Dongs and Ho Hos because the Bakery, Confectionery, Tobacco Workers and Grain Millers International Union ran the company into the ground. But the union and the 5,600 Hostess workers represented by the union did not create the crisis that led the company’s incompetent managers to announce plans to shutter it. The BCTGM workers did not ask for more pay. The BCTGM workers did not ask for more benefits. The BCTGM workers did not ask for better pensions. The union and its members had a long history of working with the company to try to keep it viable. They had made wage and benefit concessions to keep the company viable. They adjusted to new technologies, new demands. They took deep layoffs—20 percent of the workforce—and kept showing up for work even as plants were closed. They kept working even as the company stopped making payment to their pension fund more than a year ago. The workers did not squeeze the filling out of Hostess. Even as the company struggled, the ten top Hostes executives pocketed increasingly lavish compensation packages. The Hostess CEO who demanded some of the deepest cuts from workers engineered a 300 percent increase in his compensation package. “Wall Street investors first came onto the scene with Hostess about a decade ago, purchasing the company and then loading it with debt. All the while, its executives talked of investments in new equipment, new research and new delivery trucks, but those improvements never materialized,” explains AFL-CIO president Richard Trumka. When BCTGM workers struck Hostess, they did not do so casually. They were challenging Bain-style abuses by a private-equity group—Ripplewood Holdings—that had proven its incompetence and yet continued to demand more money from the workers. “When a highly respected financial consultant, hired by Hostess, determined earlier this year that the company’s business plan to exit bankruptcy was guaranteed to fail because it left the company with unsustainable debt levels, our members knew that the massive wage and benefit concessions the company was demanding would go straight to Wall Street investors and not back into the company,” recalled BCTGM president Frank Hunt, who described why the union struck Hostess rather than accept a demand from management for more pay and benefit cuts. On November 6, American voters rejected Mitt Romney and Bain Capitalism. But that didn’t end the abusive business practices that made Romney rich. They’re still wrecking American companies, like Hostess. Instead of blaming workers, we should be holding the incompetent managers to account and cheering on any and every effort to rescue Hostess from the clutches of the vulture capitalists. 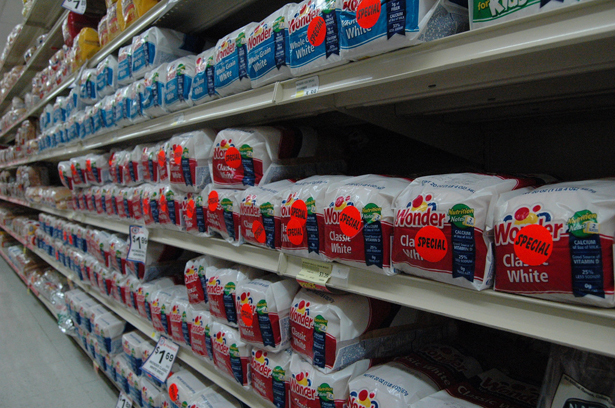 Hostess isn't the only company squeezing American workers. Check out Josh Eidelson's coverage of the Walmart workers' nationwide strike.